Warning: Spoilers may follow for The Princess Bride. Few things will get my dander up more than pronouncements like this. It incorporates so many things I disagree with: the denigration of all things “girly”, the assumption that the listener will also – often regardless of gender – have this knee-jerk disdain for anything with a whiff of the feminine, and worst of all the assigning of quality (or lack thereof) to an entire genre. Genres are useful. They tell you what you can expect. They give you a context that allows a story to be told in a very efficient way. Does the cowboy wear a black hat? He’s probably a bad guy. Think the serial killer is dead? Think again. And do these two forever bickering people belong together? Of course they do. Familiarity of an audience with genre tropes also makes it possible for filmmakers to play and experiment. The tropes need to be known and well-established to make it possible to subvert and/or tweak them. The only trouble is that movies within a genre often get lumped together without regard to execution. Some genres are considered low-brow by definition – the rom-com, the horror movie, the action thriller – while others, like the Oscar-bait drama (which in its way is just as codified and predictable), have the sheen of prestige regardless of the actual merits of the film itself. Whenever a really good movie comes out of a genre that is less esteemed, we immediately witness the deployment of the No True Scotsman fallacy. A science-fiction movie “is really about humanity more than about aliens”. This or that movie “transcends horror”. A rom-com may “hearken back to the golden age of screwball”. These defenses are surely well-meant – but they imply there’s something to defend. “Yes, it’s a genre movie but” only reinforces the idea that there is something inherently suspicious about the quality of genre movies. All this is a very long-winded way to say: The Princess Bride is a really amazing movie you guys (and gals). Not despite the fact that it’s a corny fairy tale movie about a pretty princess and her beloved farm boy. It’s an amazing movie because it’s romantic and yes, corny, and funny and adventure-filled and quotable and sweet, all at once. Yet male viewers, I’ve noticed, often have to be convinced to watch it. The movie is aware of this. 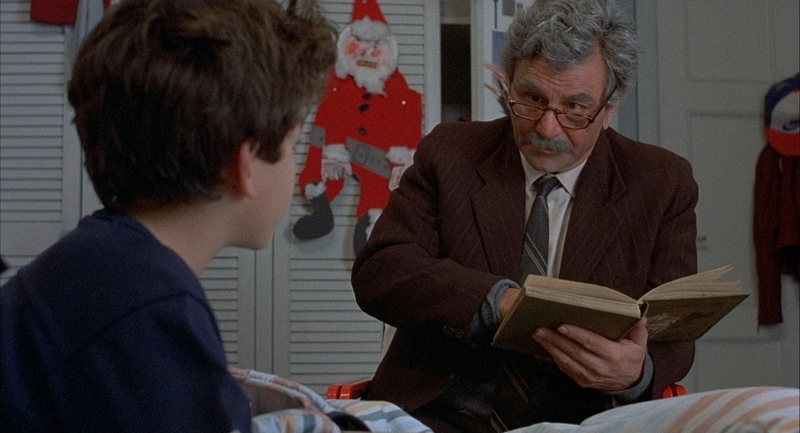 “Is this a kissing book?”, asks the little boy (Fred Savage) “the Princess Bride” is being read to by his grandfather (the very much missed Peter Falk). He has a skeptical look on his face: everyone knows little boys don’t like kissing. The framing device is no mere detail meant to ease the viewer into a fantastical world. It’s not even just meant as a way of evoking nostalgia, making us long for the days when people used to read us stories. It does all that, but it is also how the makers make us realize just how satisfying it can be for a story to go where we want it to go. You could even go so far as to call it an impassioned defense of genre – even the kind with princesses in it. Not nervous. Just a little concerned. “She doesn’t get eaten by the eels at this time”, the grandfather tells the little boy (both of them conspicuously nameless) at one point. “I’m explaining to you, because you look nervous.” Obviously the Princess Bride doesn’t die in the first act – the whole movie is named for her. We know very well that the Princess – just like James Bond or countless other heroes – will make it to the end of the movie. We weren’t nervous. Just a little concerned. What the movie points out is that predictability doesn’t need to negate tension. We can thrill to familiar stories even when we know where they’re going. In fact, as a later interruption shows, we don’t like it when a story deviates from our expectations. 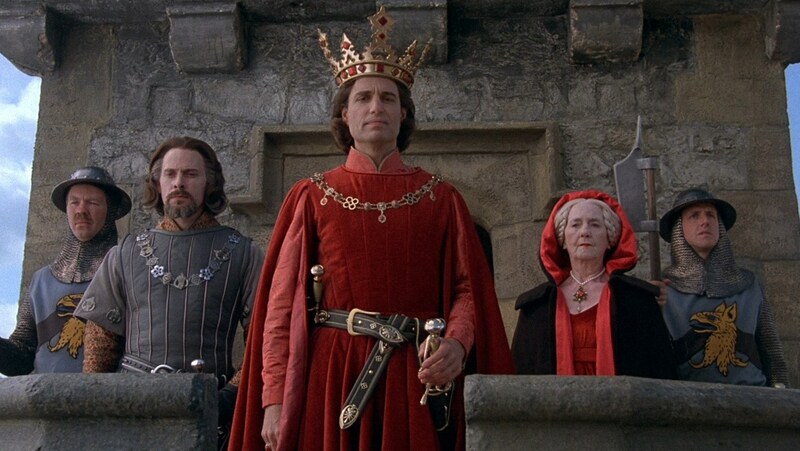 When we see the princess marrying evil prince Humperdinck, the little boy balks. The story can’t end like that! “You’re telling it wrong!”, he complains. The bad guy can’t just get what he wants. The good guy can’t just be dead. It’s simply inconceivable. It’s a dream sequence, as it turns out. Because this is a fairy tale: the bad guy does not win, the good guy is only mostly dead. 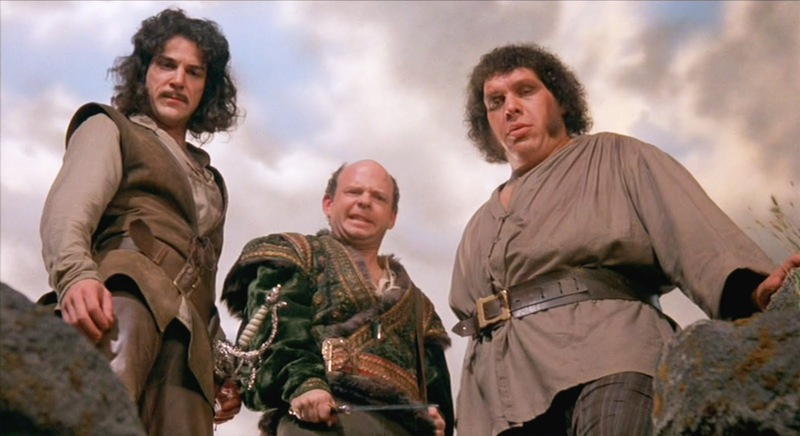 The humor of The Princess Bride often leads people to call it a parody. But there’s no parody here: in the end, it only reinforces why the tropes of this particular genre are still so powerful. In the end, the little boy doesn’t even mind the kissing so much. Movies should not be judged for their genre. There’s is nothing inherently more valuable or more artistically accomplished about a “prestige” movie about WWII than about a fairytale film. What matters is what movie do within their genre. That doesn’t mean keeping certain movies to lower standards: The Princess Bride is not just good “for a fairy tale movie”; it’s good, period. The writing is sharp (few movies are more quotable); the performances are knowing but not too winky; and the balance between the saccharine and the sarcastic is perfectly kept. But mostly, the reason it’s so good is that the makers don’t look down on their genre. They don’t start out as the little boy. They start out, instead, as the grandfather, who knows exactly how to keep his audience interested – and yes, that may sometimes mean saying “as you wish”.